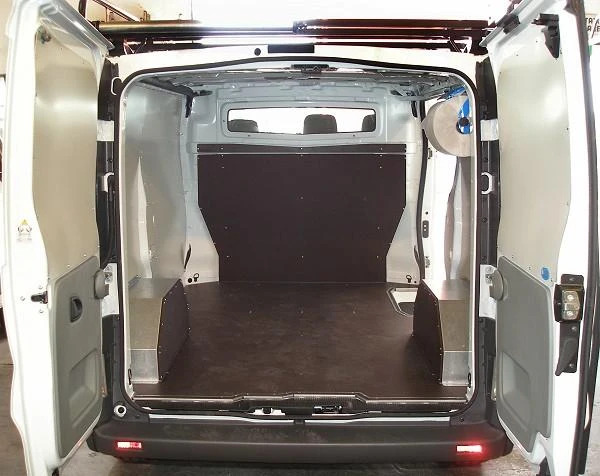 The current Nissan Primastar introduced in 2001 is the Nissan-branded version of a panel van developed in a joint venture with Opel and Renault, and also sold as the Vauxhall. 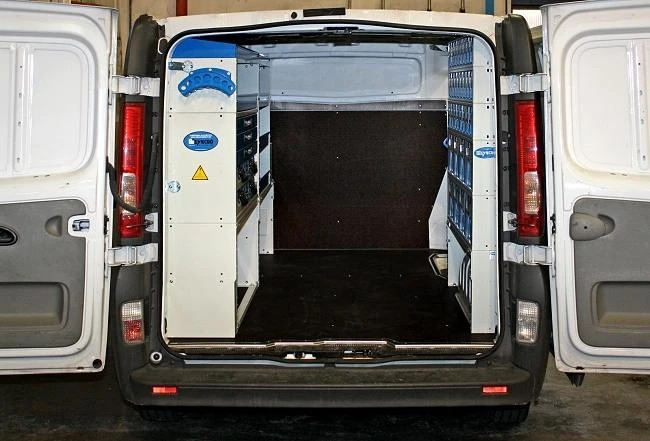 The Primastar is built at Vauxhall Luton in the UK and Nissan's plant in Barcelona, Spain. 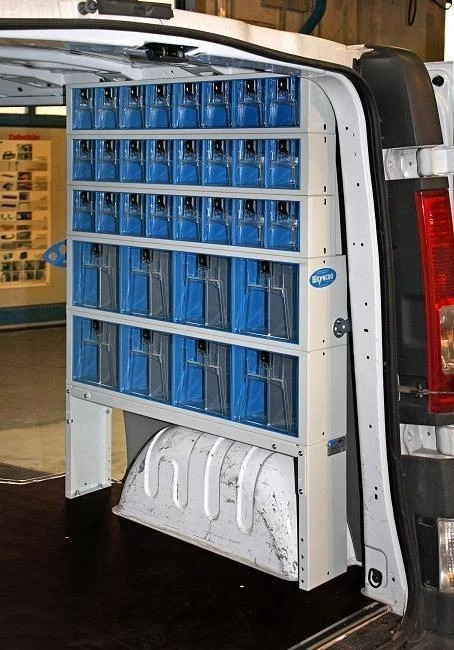 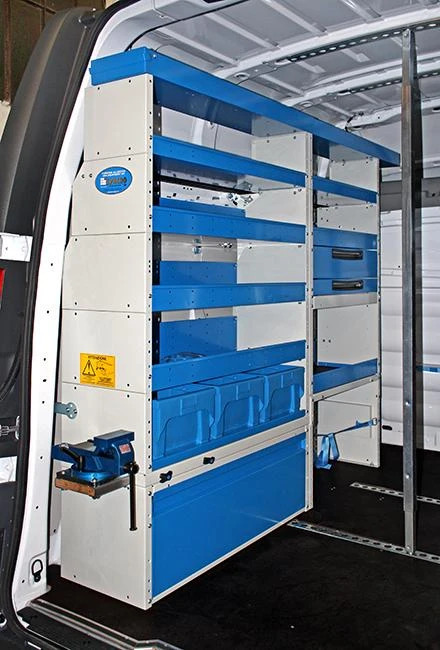 The launch of Primastar represented really something new in the light commercial vehicles segment, thanks to its modern design and a load area with straight side wall, that ease Syncro System van racking installation. 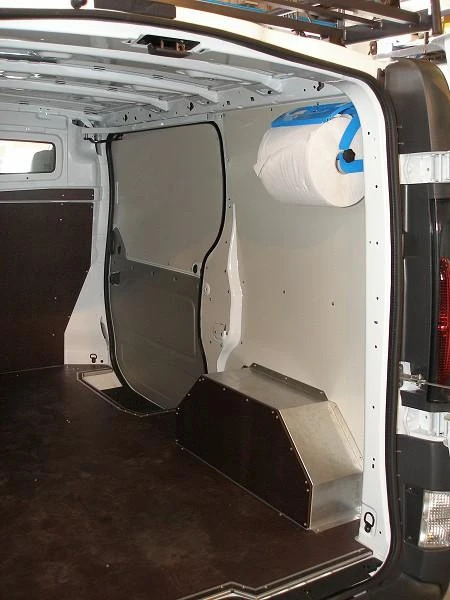 Partition wall between van cabin and load area is leaning backward, it is anyway possible to fit contours of bulkhead thanks to Syncro modularity. 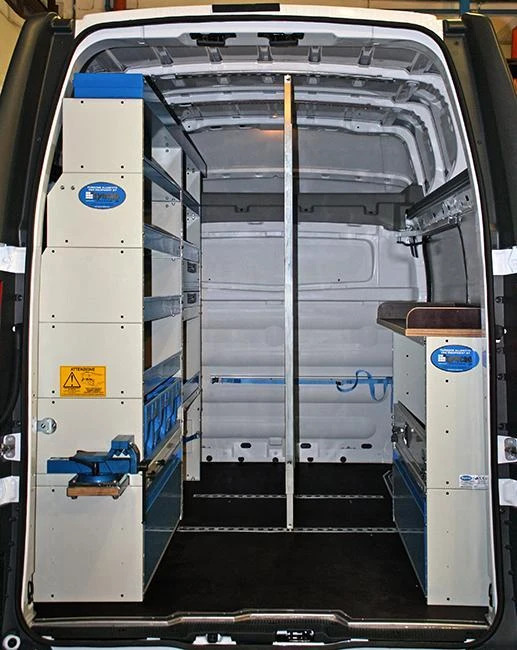 There has been a great success for side lining and rear doors panels for Primastar, floor lining in laminated wood with resin coating or chequered aluminium, and than van racking: cupboards units, lockers, shelves and drawer units. 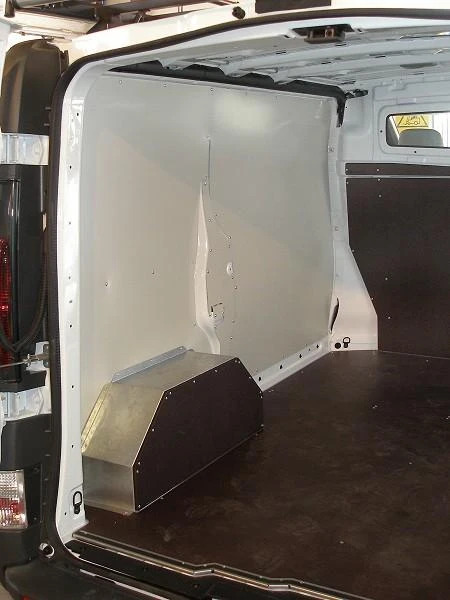 A best seller are the transparent removable tilting boxes, since thanks to their reduced depths, they can be installed above wheel arches without loosing space on load deck. 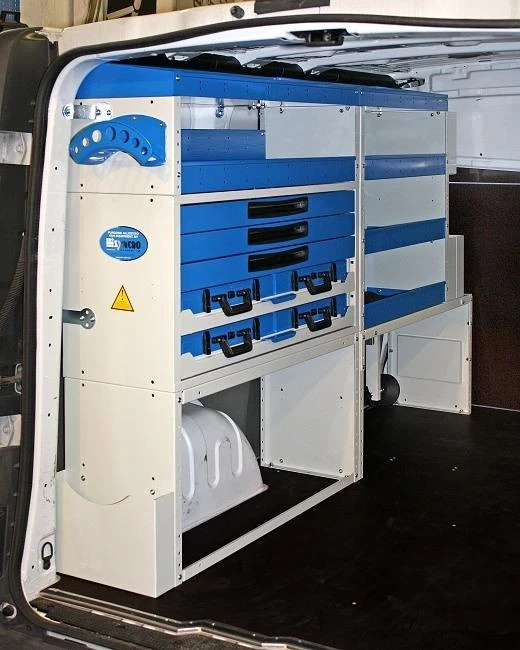 As you can on the pictures, very common accessories are the tool case clamp and tool boxes, that can be fitted on drawer units. 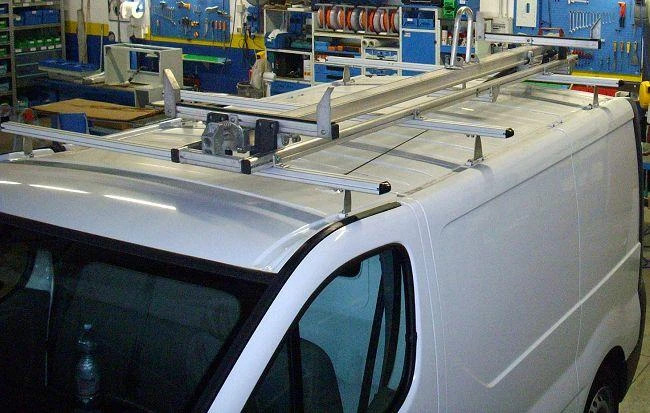 Here some other examples of van racking for Primastar Nissan. 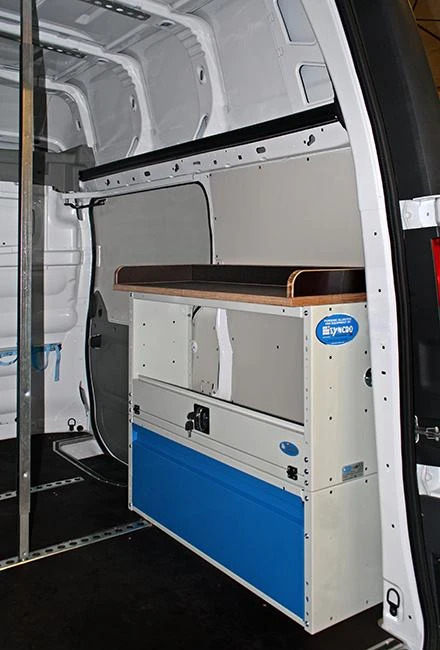 Wooden or aluminium floors, side lining for van protection, wheelhouse covers, screens for windows and other vehicle accessories.